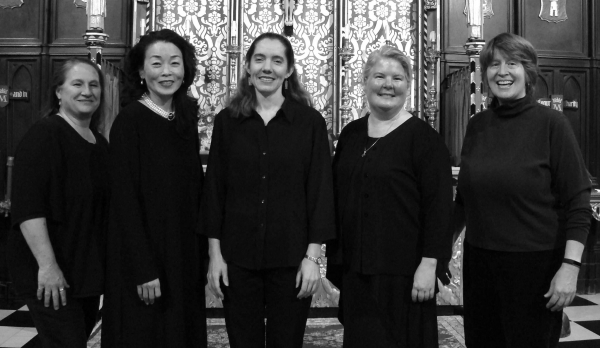 Join us for a free candlelit concert by Vox Equalis, a 5-woman vocal group specializing in early music. The performance will be followed immediately by an Opening Reception for the gallery show Fairy Tale/Scary Tale, curated by Pauline Lim. Vox Equalis is Ruth Berry, Kristina Frances, Martha Heddon, Pauline Lim, and Cory McLean.